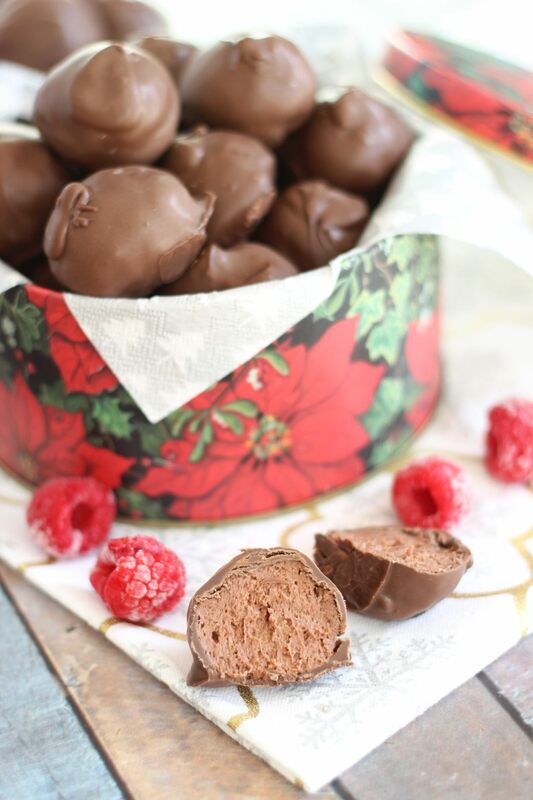 Creamy chocolate and raspberry cheesecake truffles with raspberry jam and raspberry liqueur! 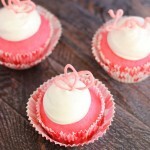 Your Valentine will thank you! 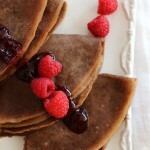 These are easy to whip up, and so luscious and decadent! It’s like a double-win. I love Peyton Manning and I am so glad to see him get the win, and I greatly dislike the Patriots, so I couldn’t be happier with the outcome! Who else is happy??? Everybody, right? Doesn’t everyone love Peyton? Carolina will be a force to be reckoned with though. Yikes. My schedule is inordinately jammed between now and Valentine’s Day, but I have so many fantastic Valentine’s recipes coming up. I can’t not share them, so I’m going to crank them out anyway, and the chit-chat will be short and sweet. Just what you were probably hoping! I’ll leave you with these delightful little nuggets of goodness. 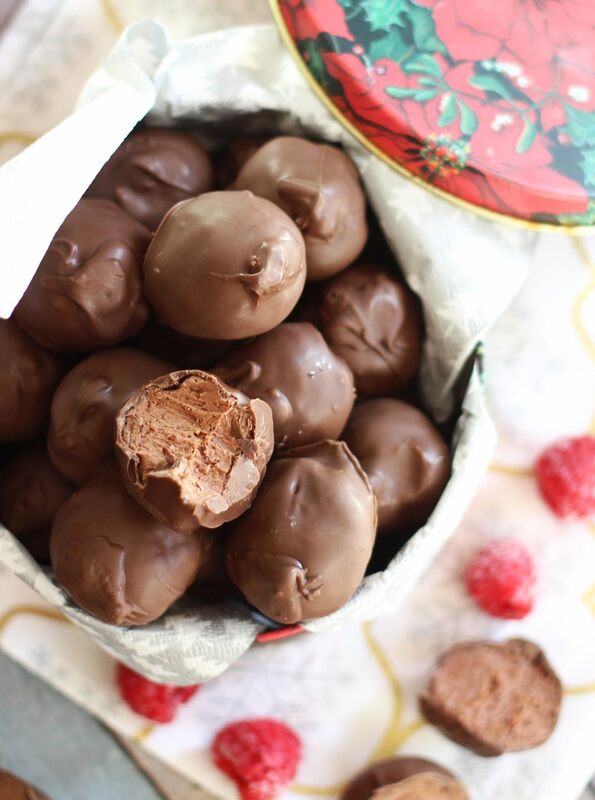 These Chocolate Raspberry Cheesecake Truffles are silky and smooth chocolate and cream cheese no-bake truffles with lots of raspberry flavor from the addition of raspberry jam and raspberry liqueur. 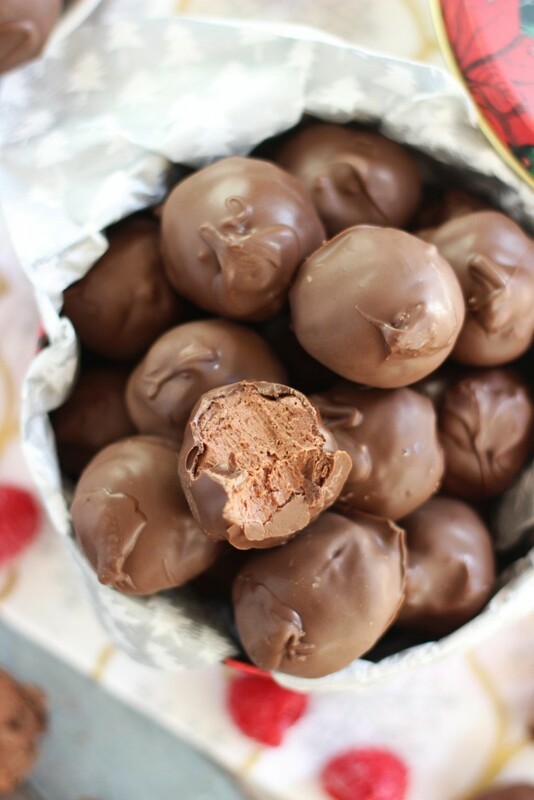 With just a handful of pantry ingredients, you can surprise your Valentine with these luscious truffles! They require some chill time for the filling and to dunk them in their bath of melted chocolate, but they are otherwise very simple, and worth it! I took a big batch of these to my in-laws over the holidays, and the reviews were stellar. 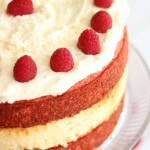 Whatever holiday you decide to make these, you will not be disappointed! 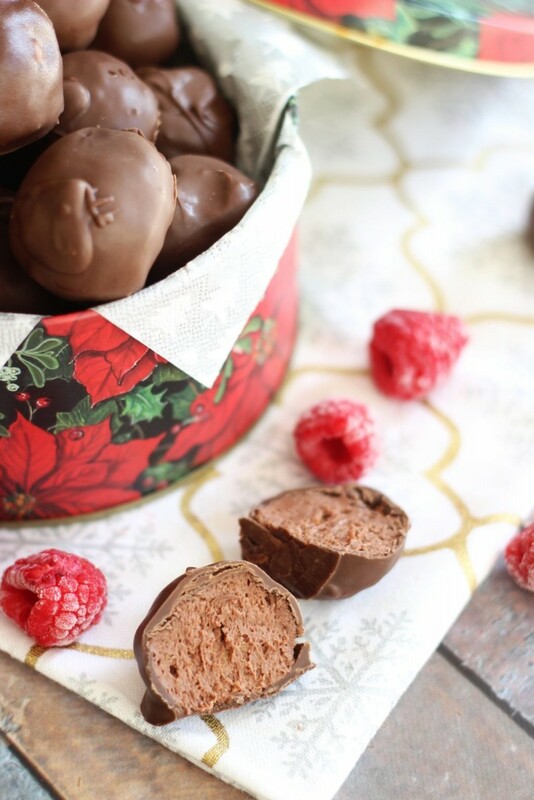 Creamy chocolate and raspberry cheesecake truffles with raspberry jam and raspberry liqueur! In a small microwave-safe bowl, heat the chocolate chips at 30-second intervals until melted and smooth. Cool slightly. 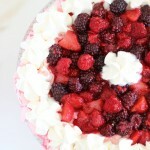 Add the melted chocolate chips, raspberry jam, and Chambord, beating until blended. Add the vanilla wafer crumbs, mixing well. Using a 1-inch cookie scoop, scoop the truffle filling onto parchment-lined cookie sheets. You won't be able to roll them into balls, so just scoop the dough by spoonful or cookie scoop. Freeze the truffle balls for at least 2-3 hours, or until basically frozen solid. When they are firm enough to handle, gently roll the truffles until they are smooth. Return them to the freezer. 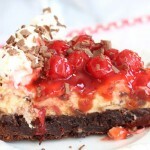 In a small microwave-safe bowl, heat the chocolate almond bark at 30-second intervals until melted and smooth. Grab 3-4 truffles at a time, leaving the rest in the freezer. They thaw very quickly. 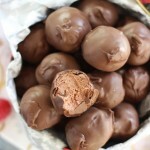 Using a fork or toothpick, dip the frozen truffle balls into the melted chocolate, and return them to the parchment paper to set.